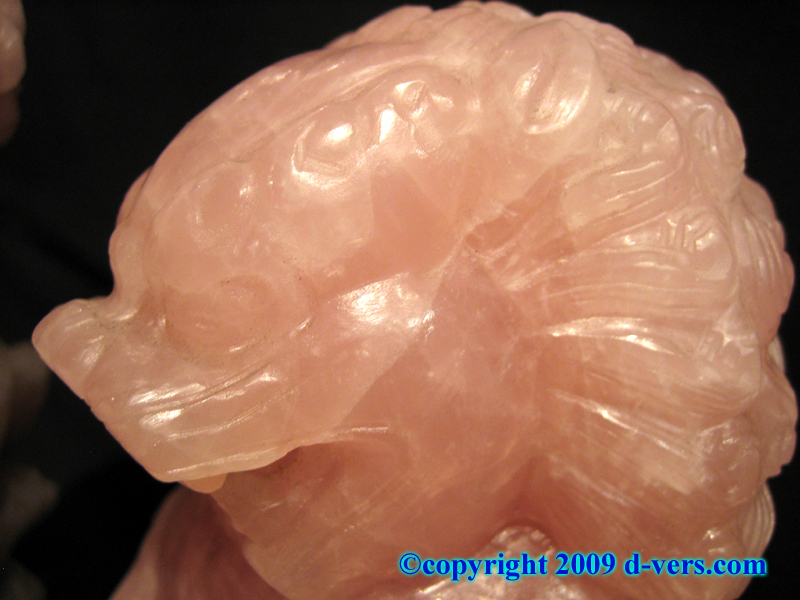 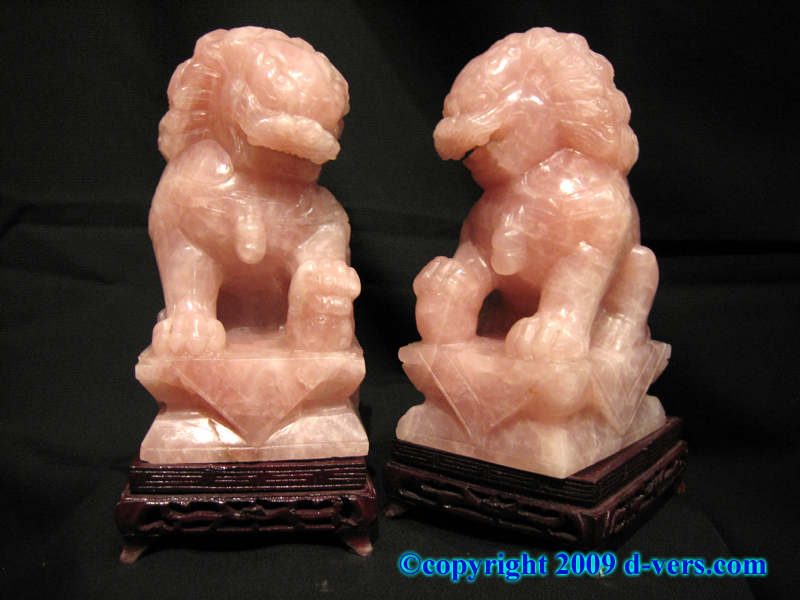 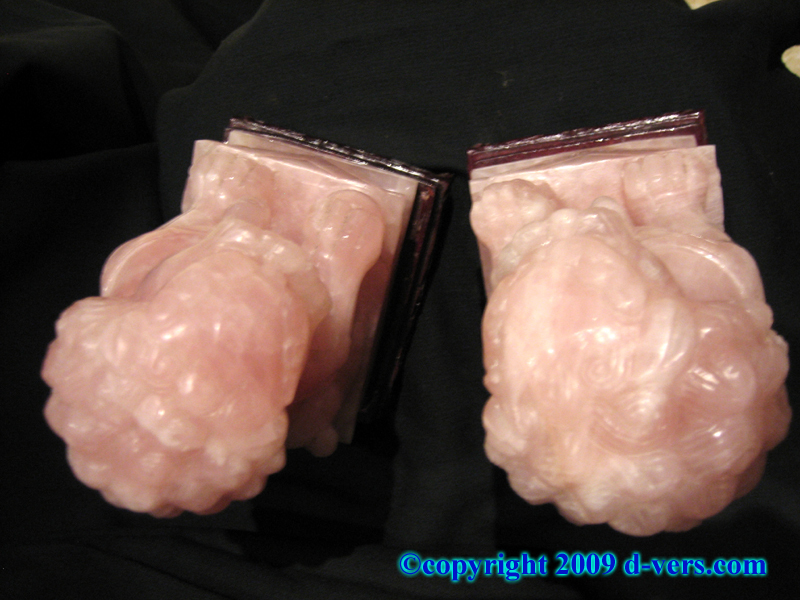 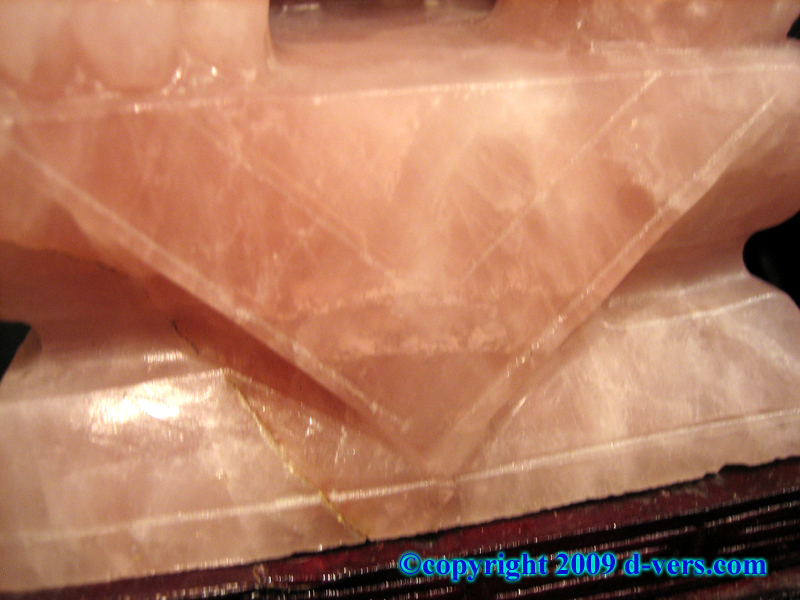 This is an antique elegant pair of Temple Dog Statues in Rose Quartz. These lovely temple dog or foo dog rose quartz sculptures were made in China in the late 20th Century. 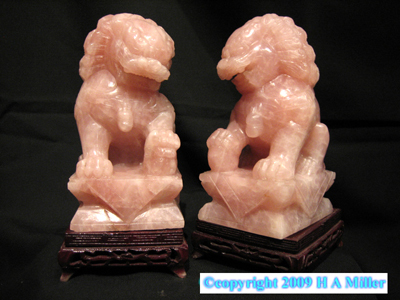 These sculptures follow the traditional design of the foo dog in China, and were believed to bring good luck. 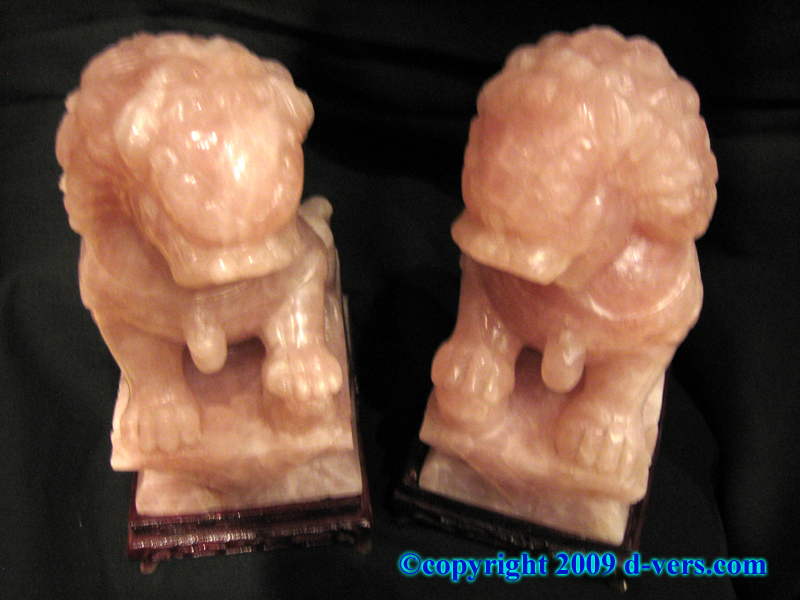 One of the foo dogs is male and the other female. 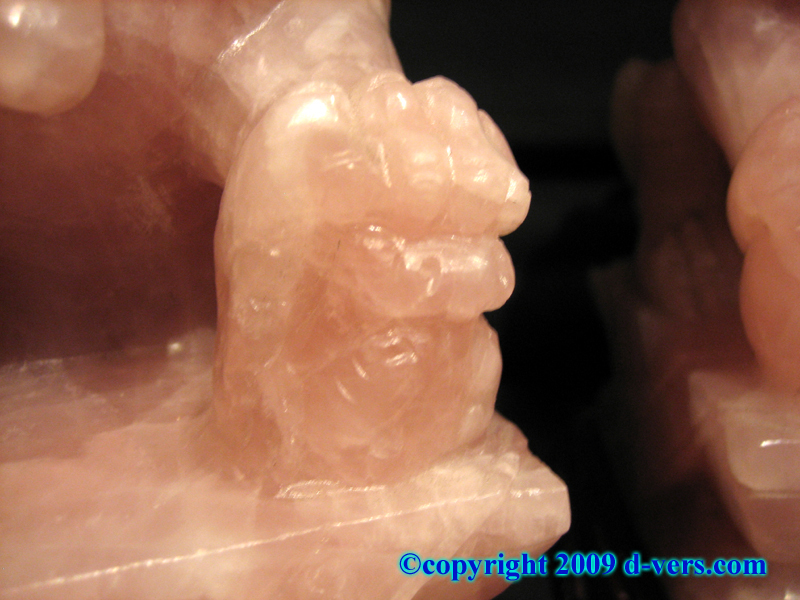 The female holds a baby foo dog under her paw, and the male is stepping on a ball. 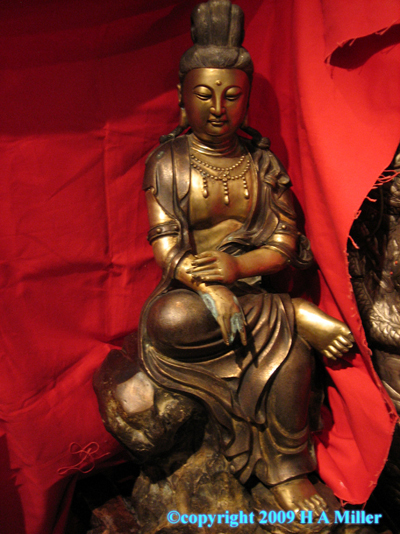 Each of the foo dog statues rests on a carved rosewood base. 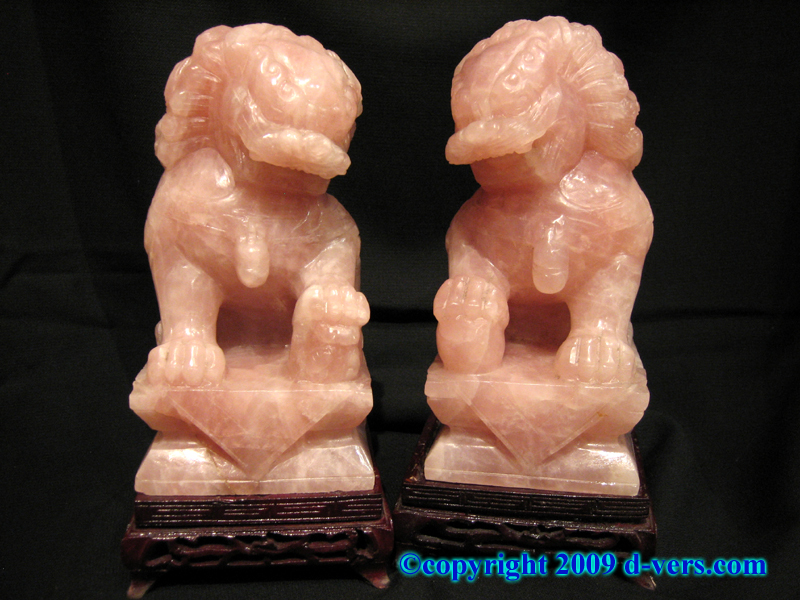 This beautifully carved pair of Rose Quartz foo dog statues measures 7 1/2" high, 3" wide, and 4 1/4" deep. 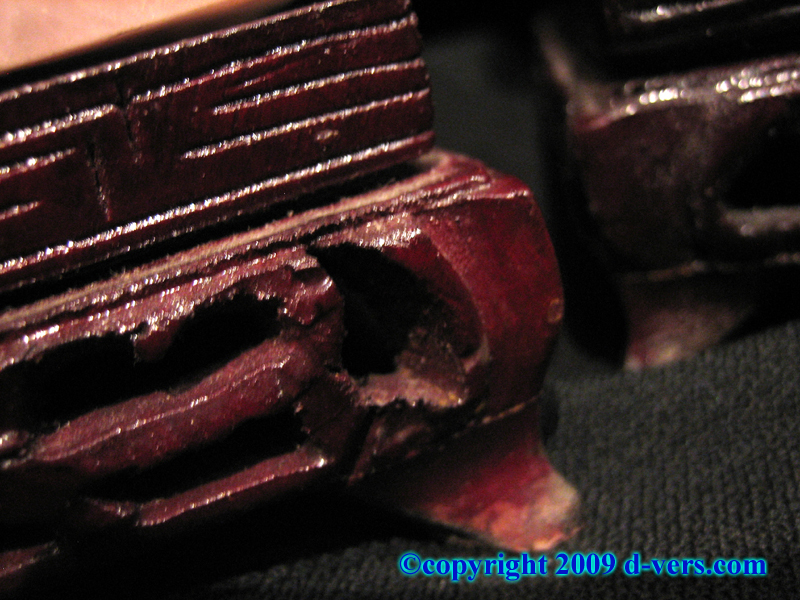 They measure 8 1/2" high with the base. 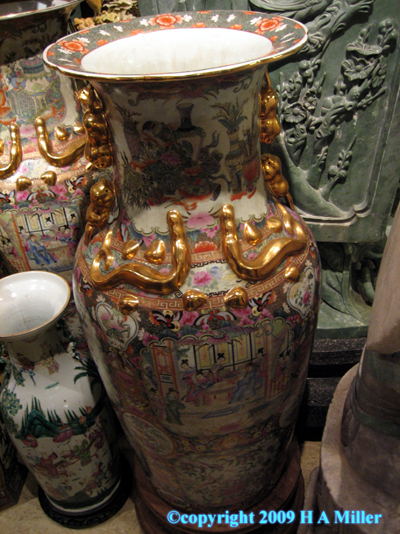 Shipping for this item to most US locations is $100, plus 10% of the itemâ€™s value for insurance. 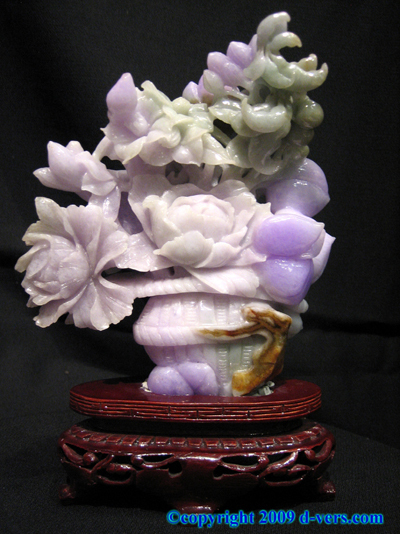 International buyers, please contact for a shipping quote. 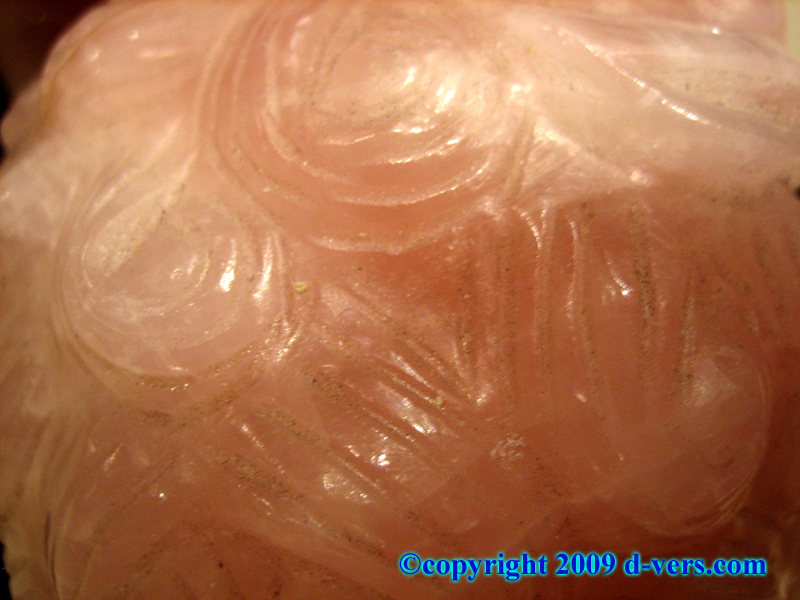 This piece was added to D-Vers.Com Online Gallery on Monday 05 October, 2009.